Droyd Cantina: The fear: Is The Nexus S Getting Ice Cream Sandwich? The fear: Is The Nexus S Getting Ice Cream Sandwich? I'm a little nervous about the update of the Nexus S.
I think it's outrageous that Google didn't confirm the update for the Nexus S on the stage at the event. I'm concerned and a little angry. Didn't they just watched the Apple keynote a few weeks before? That's how you do it. I promise if I don't get Ice Cream Sandwich on my Nexus S within 2 weeks after the Galaxy Nexus launches, I'm done with Android. I'm a huge Android-fan, there is no better mobile OS imho, but this is the mark. I'm sick of hunting forever for a simple update. I know carrier, manufacturer etc. all are involved in the game. But that's why I bought an Nexus S. And it's offending, that this device is not mentioned for an update on stage, so people need to fear that they might not receive it, ever. 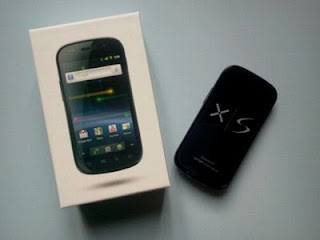 Yes there are some rumors, and a Google employee that said, it's coming for the Nexus S, and possibly (!) for other devices. But that's not a real proper, official statement. I think we deserved it to hear this as a guarantee from the live event.